IN MEMORIAM……..you will always be remembered and a part of those who loved you. Dr. Jeffrey and his wife Lori Kunkes recently lost their beloved little furbaby Heidi. Heidi was a beautiful little poodle mix girl adopted from Georgia Poodle Rescue. Heidi came from a homeless situation and Lori and Jeffrey welcomed Heidi into their home with open arms. All gave each other so much love. Sweet little Heidi is now with her doggy angels in Heaven. Fly free little girl and come back in spirit to let mommy and daddy know you are okay. You will always be in our hearts Heidi. A donation was made by Mike and Julie Sneath in memory of Tilda Dinges, who recently crossed over the Rainbow Bridge. 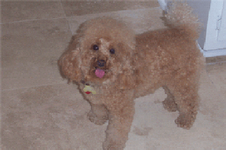 Tilda was a beautiful red miniature poodle girl who belonged to Maureen and Bill Dinges. Rest in peace sweet Tilda. You are now among the angels. A donation was made by T. Sapp, Jr. in honor of William Moseley, Jr.
A memorial has been made by Linda Webb in memory of Joker, a beautiful silver standard poodle furchild of Sheilla Gheesling, of Canton, GA.
Stacey Borsuk has made a donation in memory of Hans Rainer Hoernle who passed on May 18th,. Hans loved animals and had made many donations to agencies to help those in need. Hans was loved and will be missed. Hans, we know you are watching over your animal and human loved ones and smiling sunshine rays for them and are there in spirit for them. You will be missed. In memory of Olivia, beloved standard poodle daughter of Gwen and Eric. Olivia was a beautiful cafe au lait standard poodle girl adopted from Georgia Poodle Rescue. She came into the rescue very skinny. Her angels adopted her, put weight on her, and gave her a wonderful life where she went with them on vacations to the mountains and to the beaches, just so they could be together. Olivia loved her new parents and family very much and they loved her. Then she took her last breath. It was too short of a period of time for all for this lovely beauty both inside and out. 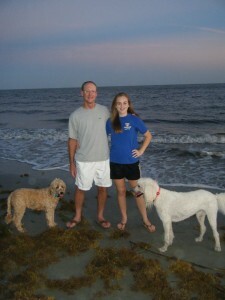 Olivia left this earth as a very loved standard poodle girl and she is no longer in pain. We are sure her she is right there with her family giving them comfort and knowing she is no longer in pain. Olivia you will always be loved. Flutter those angel wings and guide your family towards peace and healing. Gabby, a beautiful 12.5 year old standard poodle took her last breath today. Gabby, an AKC registered standard poodle with champion lines was surrendered by her owner to Georgia Poodle Rescue at 10.5 years old two years ago. Doreen and Mike immediately fostered this beautiful girl, sight unseen. They fell in love with her and adopted her a few months later when she turned 11. Gabby brought them so much joy and they gave Gabby such a deserving wonderful and privileged life the last few years she was alive. Sweet Gabby succumbed to kidney failure. She will always hold a special place in their hearts and ours. Gabby, visit your mommy and daddy in spirit and let them know it is okay and you love them for giving you the best loving and happy final years of your life. 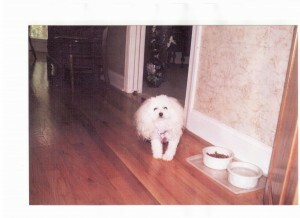 A donation was made in memory of Brandy Shock, a toy poodle girl, who belonged to Miss Jerry. Miss Jerry rescued Brandy a little over several years ago. 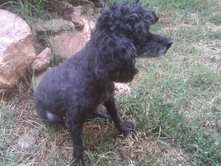 Brandy was a toy poodle girl who arrived into Miss Jerry’s arms a complete mess. 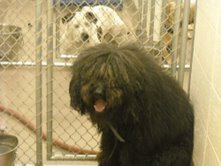 Her hair was overgrown and matted, her nails were long, she had poor nutrition and was neglected. Miss Jerry saw Brandy, took her into her arms, made Brandy beautiful again and gave little Brandy a wonderful life of a princess. Brandy and Miss Jerry provided so much love and joy to each other. They were constant companions and went everywhere together. Brandy, your mommy loved you very much and she gave you the best. Come visit her in spirit often to give her peace and guide her in helping her rescue another little one to give joy and comfort to. Fly with the angels Brandy! We know you are watching out for your mommy! A donation was made by Mike and Jorjana Marx in memory of a friend’s 14-year old black standard poodle named Gaia, who belonged to Kathleen O’Hanlon and John Williams. Gaia was beautiful, exuberant, dominant, sweet, and loyal. They called her their “canine-human hybrid”. Her personality was so complex and her spirit so big that it was like having another human being in the house……only better, because she was also fully animal, creature, and earth dog. Gaia was the Greek goddess of the earth and their Gaia was their Earth Goddess. She was majestic and regal one moment and rolling in the grass and barking at squirrels the next. She made Kathleen’s and John’s hearts bigger and deeper and their attention to the present moment more vital, connected, and shared with her. They have huge gratitude for her life and for all the ways she changed them. Gaia will continue to live in and through them. They have begun the process of making a memory book about their 14 years with Gaia, focusing on how she still lives in their hearts and memories, rather than focusing on the huge hole she left in their lives. Gaia, Earth Dog Goddess, you were, still are, and will forever be loved and we know you are with your people in spirit still guiding them towards peace. Come back with your spirit often Gaia, and leave little signs for your people. Fly with the angels Gaia! 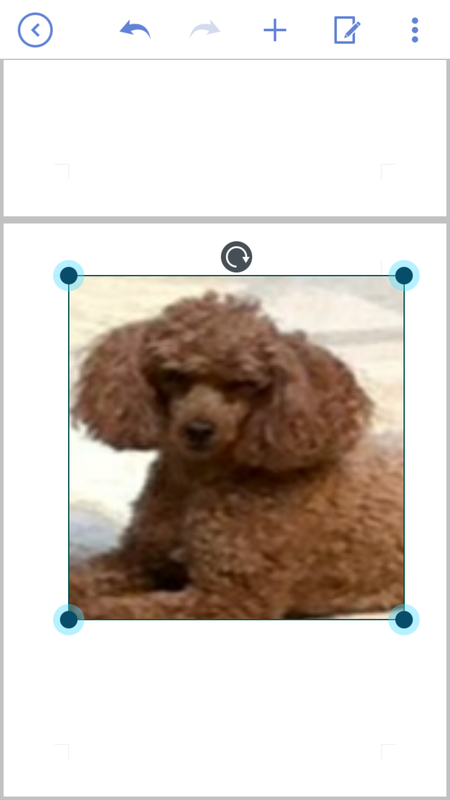 A donation was made by Stacey Borsuk in honor of her toy poodle named Madison Layne, who passed on June 16, 2014. Madison Layne was 15 1/2 years old when she passed. The family is devastated but they know she had an amazing life. Madison Layne was well cared for and very loved with good genes to live to such a ripe age. Madison Layne may be peeking from the clouds flying with her angel wings with a big smile on her face telling her family she is okay and thanking them for giving her such a good, long life. Fly to your heart’s content little angel girl. A donation was made by Maggie Garrett in memory of sweet Sasha Senterfitt. Sasha was a very loved labradoodle whose life was ended too soon because of the negligence of a boarding facility. Sweet Sasha, you will be remembered in all of our hearts. Run, play, and fly to your hearts desire in the fields of heaven. A donation was made by Wanda Faye Wilcox in memory of Marcia Davis and her beloved black toy poodle sisters Tess and Ciao who have recently passed away. May peace be with the family members who loved them so dearly. Fly with the Angels Marcia, Tess, and Ciao. A donation was made from the Palm Beach County Information Systems Services department in memory of Mrs. Pattie Clabaugh, who had a lifelong love of poodles. Mrs. Claybaugh’s husband, Bill, was their friend and co-worker and in accordance with Patties and his wishes, a donation was requested to be made to our organization to continue the services we provide and the work we do. Rest in peace, Pattie. This is a memorial to Peppie, beloved toy poodle of Donna Hilley. Peppy had many eye problems for a few years and then developed cancer but Donna stuck by him until the end and he was always there for her. Peppie will forever be in Donna’s heart as he was a special little guy. 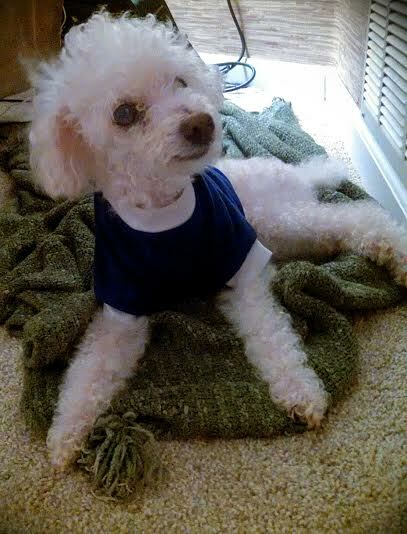 Peppy is at peace now and has sent little Buddy the toy poodle to Donna to love and care for. Fly with the angels little Peppie. A donation was made by Gary and Donna Lowe in memory of Sassy Cowen, beloved pet of Henry and Tina Cowen. Sassy held a special place in everyone’s heart and will be missed by all. Fly with the angels Sassy. In memory of Sherry Long, our past board member and long-term dedicated volunteer. Sherry passed June 28, 2012, from an aggressive cancer she recently found out about. Sherry has always loved and helped animals, was past president of a humane society, was very helpful and instrumental in helping us succeed, and remained in the animal industry until her last days. She will be missed. Her two dogs are being adopted into loving homes. Be at peace Sherry. In memory of Tom Gish, our past dedicated and long-term volunteer. Tom passed January 25, 2012, from cancer. Tom grew up with dogs and helped our president in special training of the dogs. Tom also helped set up and make repairs for Georgia Poodle Rescue and helped us with the mechanics of our van. Tom, you will be missed. Be at peace. A donation was made by Krista Oguz in loving memory of Remy, who belonged to Bill and Melonie Moseley. 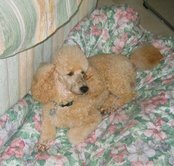 Remy was a beautiful healthy young adult moyen apricot labradoodle who succumbed to IMHA. Remy was tossed out by her breeder and ended up in animal control and was in danger of being euthanized. She was rescued by Georgia Poodle Rescue from an isolated animal shelter on top of a mountain in Tennessee. Bill and Melonie and their family opened their hearts to Remy and gave her a wonderful last three years of her life. She was a wonderful, very loving, happy, easygoing dog and a beloved family member who will be sorely missed by all. Fly with the doggie angels, Remy. 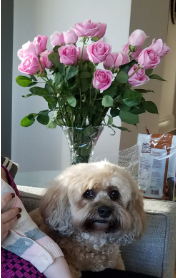 A donation was made by Linda Sears, CPA, of Marietta, GA, in loving memory of her beloved Peppy, who was a loving and cherished family member who will be very missed. Paula Hutcheson made a generous donation in memory of her stepmother, Cindy Tracy, who died March 2009. During her life, Cindy and her also deceased husband owned several standard poodles and were always involved in animal functions trying to help the animals. 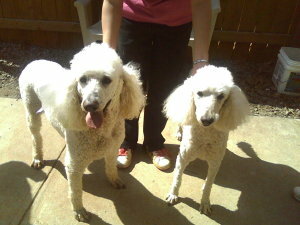 Cindy was the owner of Flirt and Jake, two elderly white standard poodles, who both came to us after Cindy passed away. Flirt and Jake were absolutely wonderful dogs and very well cared for. They have crossed over the rainbow bridge, where we are sure Cindy was waiting for them. They are now all reunited. Blessings to all. A generous donation was made on behalf of the friends of Colleen Boyle at the CDC as a memorial for a standard poodle named Jackie O. She was the beloved pet of the Boyle family and will be deeply missed. She lived a long, wonderful life, with a family whom she loved, and they loved her. She ran in the mornings with her “mom” until she became ill. Jackie O will watch over her family with love until they join her on the other end of the rainbow bridge. Ashley crossed over June 2010. She was a Tibetan Terrier/Poodle mix. Georgia Poodle Rescue rescued the severely matted elderly little girl from a rural animal control faclity. She had such tight painful and matted muffs around each ankle that the hair had grown through and the muffs were attached to the skin. It was sickening that someone would do this to such a sweet little girl. Ashley was about 13-15 years old, was blind, and spent her remaining few weeks with us being well fed with no pain, and being loved. Ashley is at peace. We will miss her presence and sweet demeanor. 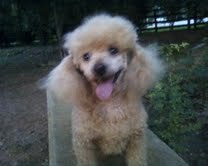 A donation was made by Toi Wall of Sharpsburg, GA, in memory of her cream toy poodle named Punkin. Punkin went to heaven on 1/11/09 and was very loved. She was well cared for by Toi, who misses her very much. A volunteer made a donation in memory of Darla, an older, very sweet black, female miniature poodle, who died on January 19, 2010. Darla had liver failure. Although she had health issues, a triple hairline-fractured pelvis, and was blind when Georgia Poodle Rescue took her into their program, Darla’s fractures healed and she was still a very sweet, playful little girl. She will be sadly missed. An extremely generous donation was made by Karen Kennedy of Roswell, GA, in memory of Gracie Mae Kennedy, a beautiful tiny teacup poodle, who died a few weeks ago from a terrible disease in the beginning of December 2009. Gracie was only 7 years old, which is young for a teacup. 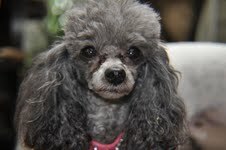 Gracie meant the world to Karen and Karen knows the time and expenses it takes to get a poodle back to good health and would like us to use this donation to help with our poodles in need. Karen loved Gracie very much and we are sure Gracie loved Karen very much and that Gracie knew Karen tried everything within her means to help her. Rest in peace, Gracie Mae. 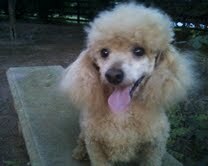 A donation has been made in honor of a special little poodle named Chelsea. Chelsea was 17 years old and an absolute Diva! Her picture above shows her “Am I not the cutest?” pose she always assumed when expecting a treat or her hand cooked dinner that accompanied her dry food. This person had the honor of knowing Chelsea for 9 years, working with Chelsea initially through the animal hospital where she worked and in Chelsea’s later years as her sitter. It absolutely breaks her heart to know she will never get to take care of Chelsea again, to watch her prance around and play with her favorite rope toy, to hear her tough girl bark at the door when she came over, but she knows Chelsea was and will remain very much loved and remembered. 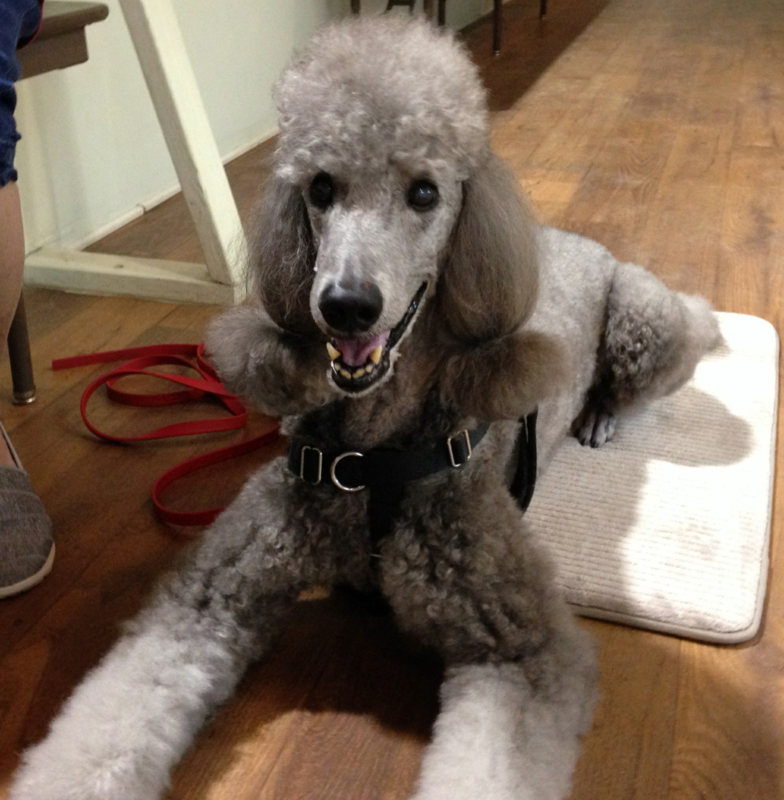 This person would also like to extend hers and her own poodle Ella’s gratitude to everyone who strives to take care of these special dogs who only crave family and affection. They may be demanding at times and often too smart for their own good, but they are the most dedicated and loyal companions anyone could ask for. In memory of Flirt and Jake. Both elderly standard poodles came to us after their owner died. Jake and Flirt were inseparable and they were with us for about 8-9 months. They always had to know where each other was. Flirt suddenly passed away near Thanksgiving 2009 and Jake began mourning for his Flirt. Jake died within two weeks later December 12, 2009, seemingly of a broken heart….first his human mom died, then his precious Flirt died. Flirt is the dog on the right and Jake is the dog on the left in the picture above. Both dogs were wonderful and very well behaved. They were taken in by Georgia Poodle Rescue because their human mom passed away and the remaining family could not care for them so they called Georgia Poodle Rescue to take them. Even though Georgia Poodle Rescue’s budget was very low, Georgia Poodle Rescue still provided care, love, and affection for Flirt and Jake. Both Flirt and Jake will always be remembered; Flirt with her gentle presence, her running with her beautiful ears flying in the wind, and her flirtatious eyes and smile; and Jake with his large puppy-dog eyes, gentle, happy and exploring nature and running across the pasture so fast it looked like he was flying. Flirt and Jake are home with their human mom and dad now. A generous donation was made by Barbara S. Wendell of Warner Robins, GA, in memory of Quincy, her ten and a half year old miniature poodle who lost his long-term battle with kidney disease in August 2009. Quincy fought a good fight, but his life had turned into misery and Barbara wanted him to rest. Barbara has requested her donation be used to help another four-legged friend like Quincy who needs a little TLC. Quincy rest in peace and know you were very loved by your human mom and you will always be near to her heart. 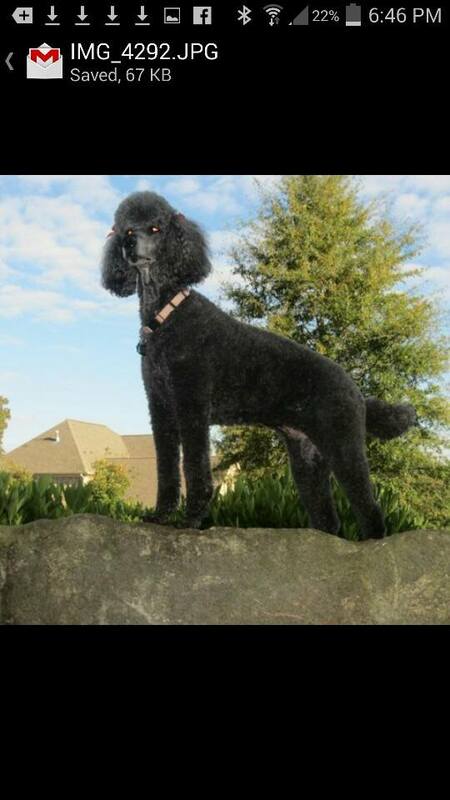 A donation was made by Richard and Dale Millman of Roswell, GA, in memory of Olivia, an 11-year old black standard poodle, belonging to the Dix family of Marietta, GA, who died in surgery. Rest in peace Olivia. 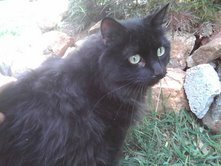 A donation was made in memory of Merlin, a beautiful older black persian-mix cat, weighing 22 lbs with gooseberry green eyes. Thank you Georgia Poodle Rescue for rescuing Merlin and allowing him to live the last month of his life in dignity in a caring environment instead of letting him die in a scary public shelter. Merlin had a tumor in his midsection that suddenly burst. Merlin, you were the cat’s meow…………fly with the birds and be free. Several donations were made by 21 people in memory of Sonia (see Contributors page for names), the small apricot poodle belonging to a friend of theirs, who was tragically killed by another dog who broke off of the leash while walking on March 21, 2009. Our heartfelt sympathies are sent to Sonia’s owner. May Sonia rest in peace. 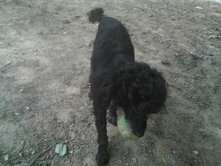 A donation was made in memory of Walter, a black standard poodle, who came to Georgia Poodle Rescue as a stray found by animal control. Walter was grossly underweight and undernourished, with a severely matted and overgrown coat, and with systemic infections. Walter did not survive. May Walter rest in peace. Cuddles crossed over June 2011. 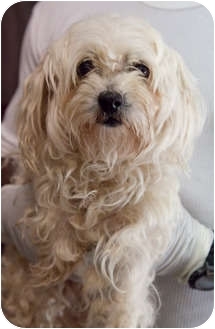 She was a small toy-sized, very loveable and cute malti-poo girl, about 3-5 yrs old that we rescued from a high-kill rural animal control facility where her former owner dumped her. It appeared she had been bred over and over, given poor nutrition with no or improper veterinarian care as she also had severe tartar buildup on her teeth with advanced periodontal disease. We were planning to spay Cuddles and clean and most likely pull many of this little girls teeth to bring her back to health, however, it was too late for this sweet little soul. We were building up her immune system before the teeth cleaning appointment, however, Cuddles began rapidly losing weight. We brought her for further testing and it was determined she had advanced cancer with many large tumors enveloping her liver and stomach area. She was in pain and our vet recommended the kindest, most humane thing to do. It broke our hearts that such a sweet little girl was just used up and tossed away like garbage after she no longer had a use as a breeder dog. No reputable breeder would do this. 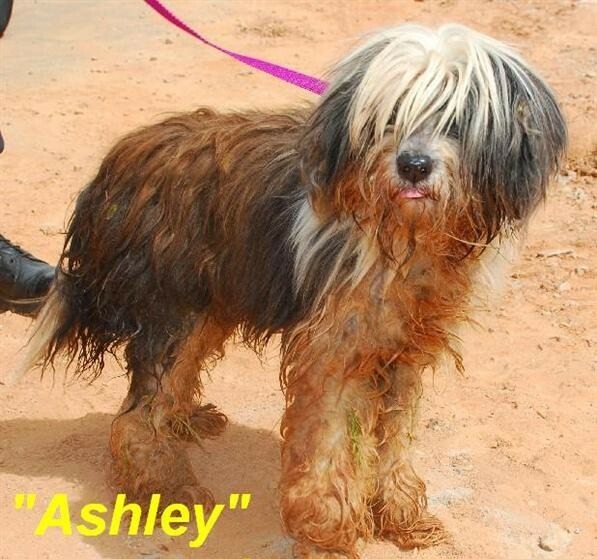 No reputable breeder would just dump their dogs at animal control but would have vetted them. Cuddles is no longer in pain and we made the last three weeks of her life comfortable, where she was cuddled and loved. Cuddles you are a good girl and we will miss you. Frisco crossed over July 1, 2011. He died in his sleep and went peacefully. He came to us extremely overweight, a whopping 28 lbs, and we were able to reduce his weight to 18 lbs. He was a sweet little older man who came to us because his former owner, and elderly woman, developed Alzheimers and went into a senior home. Frisco received much love, proper nutrition, exercise and playtime with all the dogs and cats while here. He was a happy little man. 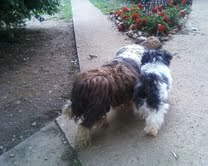 The womans son did not want to care for Frisco so asked if we would take him into our program. We will miss cute little Frisco.